We entered the distance not sure of the nature of our relationship, but very quickly the separation proved our desire to be together. One of the most meaningful activities which assisted our relationship during that time was reading books together. I would buy a book, read it, and then mail it to her. She would read the book and then we would discuss. This process forced us to talk about our relationship. What we found is that one of the best ways to improve our relationship is to read a book. 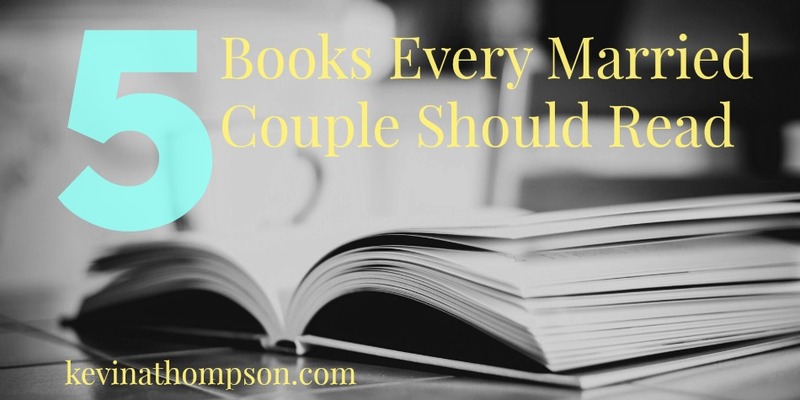 While reading any book can provide many of these benefits, reading the best books is almost guaranteed to help your marriage. 2. The Meaning of Marriage by Timothy Keller This is my favorite book which looks at marriage from a Biblical perspective. Keller is my favorite pastor/writer of today and The Meaning of Marriage is a masterpiece. The gospel changes everything, including marriage. Keller looks at marriage with a gospel focus and the result is a feeling of both gratitude and challenge when it comes to marriage. 4. Boundaries by Cloud and Townsend Few people have a good understanding of a healthy relationship where the two people maintain their identity while also becoming a couple. Cloud and Townsend help to clarify this nuance. Boundaries help identify who we are. They distinguish what we will take responsibility for and what is the responsibility of another. I was forwarded your recommended reading list by a family member. Curious if you have any feedback on this title and reference. The Mystery of Marriage 20th Anniversary Edition: Meditations on the Miracle. I’ve never heard of it. I’ll take a look. What do you think of Real Love by Greg Baer? I have applied a lot of his principles into my dating since divorce. My marriage was silent, you were dead on with that one. We didn’t talk, I was afraid to say anything, ever, so I didn’t. We lasted 22 years then had a 3 year divorce. Now he won’t speak to me. Denise, I haven’t read Real Love, but I’ll look into it. I’ve been really into Dan B Wile’s work on Collaborative Couples Therapy, which seems to be the most unique approach I’ve seen yet on couples’ communication. What are your thoughts on it? I’m sorry, Nalini, I’m not familiar with this work.